Mississippi Valley State University provides an opportunity for residents and non-residents of Mississippi who do not meet the regular admission criteria to attend our Summer Developmental Program. The program is residential based and all participants must reside on campus (unless you have extenuating circumstances that will prevent you from doing so). The SDP is an intensive 8-week summer program that concentrates on high school subject areas that are essential to their success in first year college courses. Courses consists of English, Mathematics, Reading, and an academic support laboratory. The format of the program includes classroom instruction, seminars, computer-assisted tutorials, and social/life skills development. Classes are held Monday-Friday accompanied by special activities and events on weekends. 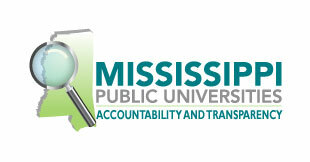 Students who successfully complete the program will be eligible to enroll in the fall term at any Institution of Higher Learning (IHL) in the state of Mississippi.